Angela Merkel, who has been German chancellor for more than a dozen years now, is a complex public figure whose star has lost much of its shine since instigating the flood of more than a million Middle Eastern and African migrants into Europe by land and sea since 2015 with her "welcome without limits" remarks. Those remarks have not just polarized the German electorate and forced her to backpedal on the cusp of electoral losses, going so far as to acknowledge the existence of migrant-dominated no-go zones in Germany, but also caused a great deal of resentment among other European nations' leaders since they have had to bear the brunt of the initial onslaught. The resentment deepened when European Union (EU) leaders chose to overlook Merkel's unilateral action to change the continent of Europe forever because of the influx, and instead announced that all EU members would be expected to share in the burden of redistributing these newcomers proportionately or else face sanctions, including deprivation of their share of monies out of EU coffers for important things such as infrastructure maintenance and improvements. Many of the newer EU countries, whose borders constitute the exterior of the union, were ultimately forced to confront the onslaught of migrants with border barriers and newly organized or enhanced border guards, over the objections of Merkel and EU leaders. They have also, unsurprisingly, bitterly resisted accepting their "quota" of relocated migrants. At home, the question of Merkel's political future has become even murkier as she has been swept up in an ongoing scandal involving corruption in the Federal Office for Migration and Refugees (BAMF), in which asylum was granted to ineligible migrants in exchange for bribes. Frank-Jürgen Wiese, the former head of the agency, has publicly alleged that at least twice he warned her and leaders in Germany's Interior Ministry of the perils of inadequate systems and technology, stress, backlogs, and overworked employees at BAMF, but was ignored. Interior Ministry officials have acknowledged that Weise submitted a report, giving veracity to his claim. Yet despite the domestic setbacks, Merkel remains a canny politician on the European stage. Most recently, she has bundled together the notions of common defense and common border enforcement at the exterior of the EU's borders. It may in some ways be superficially attractive on the defense front, although using NATO as an example, such an integrated defense force would be sadly underfunded. The United States pays a much higher share of the NATO budget than any of the European countries, which steadfastly have failed to meet their treaty obligations in percent of GDP allocations to defense funding. If they — including Germany, the economic powerhouse of the EU — refuse to financially support NATO despite the existence of those obligations, there isn't much reason to think they would pony up for an EU military. But one suspects that the proposed military integration is a canard, designed to mask her focus on finding ways to break the intransigence of those EU nations that have resisted paying the migrant resettlement price for her imprudence on immigration; they consider it too high in terms of terrorist risk and inability or unwillingness of the newcomers to assimilate. One way around that resistance is to remove from those nations individual responsibility for border enforcement and asylum adjudications. 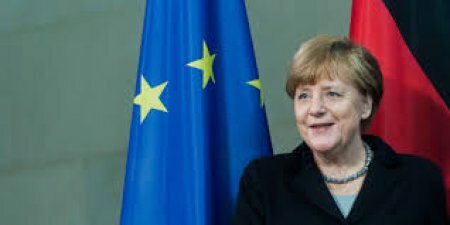 In her interview yesterday, [Merkel] said Europe should set up a joint agency for refugees that would decide on applications for asylum at Europe's outer borders on the basis of common procedures, that would then likely see successful asylum seekers relocated across the union. It would mark the end of the so-called Dublin Regulation, under which asylum applications must be processed in the first country where a refugee arrives. Merkel also proposed that Frontex, the EU's (primarily maritime) joint border agency, take over all responsibility for exterior borders. Yet Frontex has done a decidedly poor job of thwarting the hundreds of thousands who have successfully penetrated Europe so far. Clearly, there is little reason for countries on the external borders of the EU to trust Merkel on this score. Indeed, based on the evidence of Germany's problems with its own refugee agency, Merkel is the very last person in Europe that leaders of those countries should trust to see to their interests in any fundamentally competent way. There is a lesson here that bears noting: Any nation so foolish as to franchise out its sovereign responsibilities and control over its borders to others risks its very existence. It is a Faustian bargain.